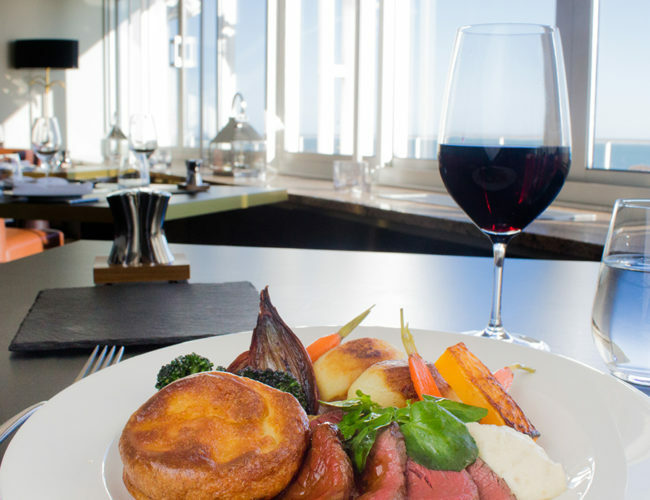 Located on the tip of Sandbanks Peninsula, you couldn’t dine closer to the water. 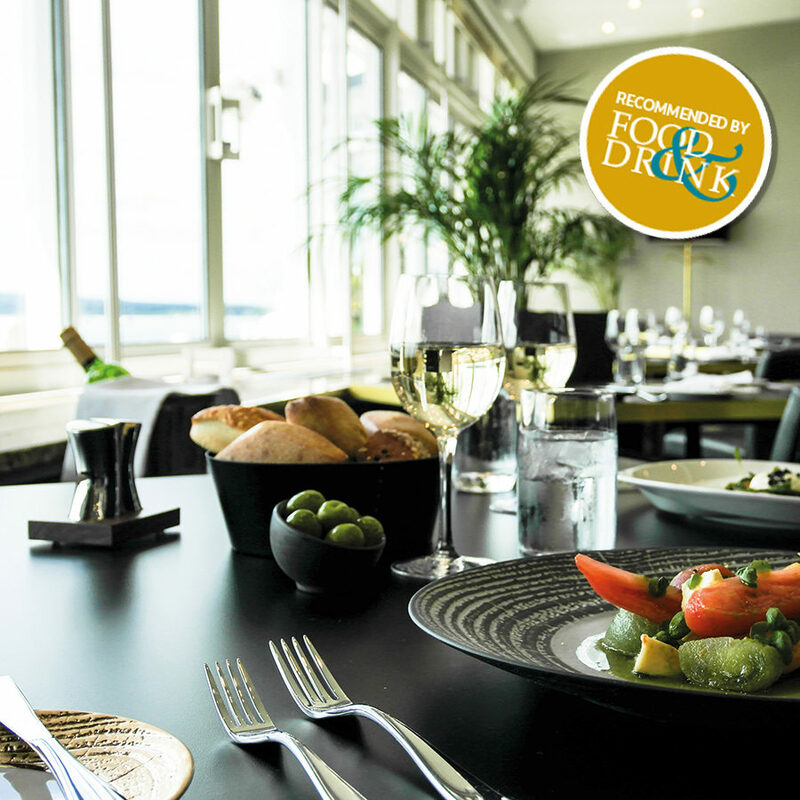 With glorious views across to Studland Bay and Old Harry, the Haven Hotel is renowned for its locally acclaimed restaurant, The Point. It is recognised for excellent food in a fine dining experience. Helmed by Head Chef Jason Hornbuckle, who wherever possible tries to use local and sustainable ingredients. 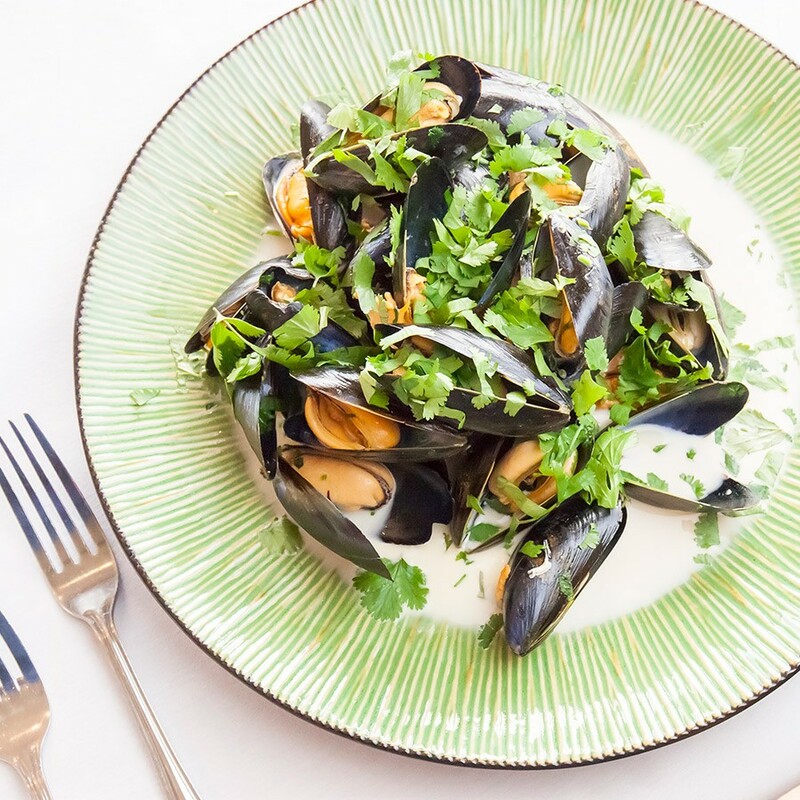 With a passion for reducing the ‘nautical miles’ of seafood, from source to plate. You don’t have to be a guest of the hotel to experience the culinary delights of The Point. Booking is highly recommended. 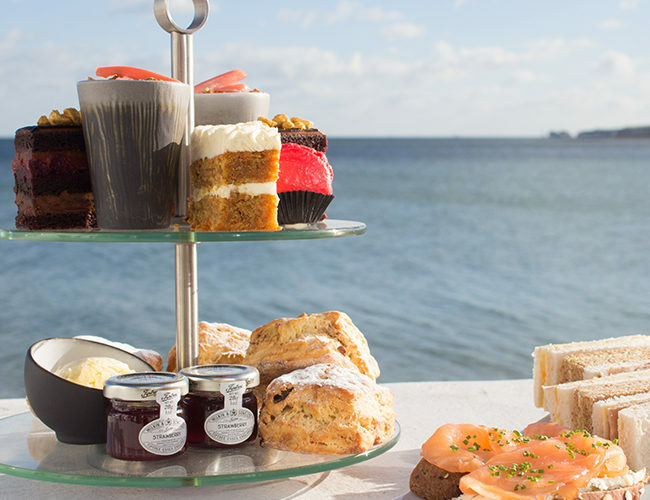 For sweet teeth, indulge in an afternoon cream tea whilst watching the boats sail by. 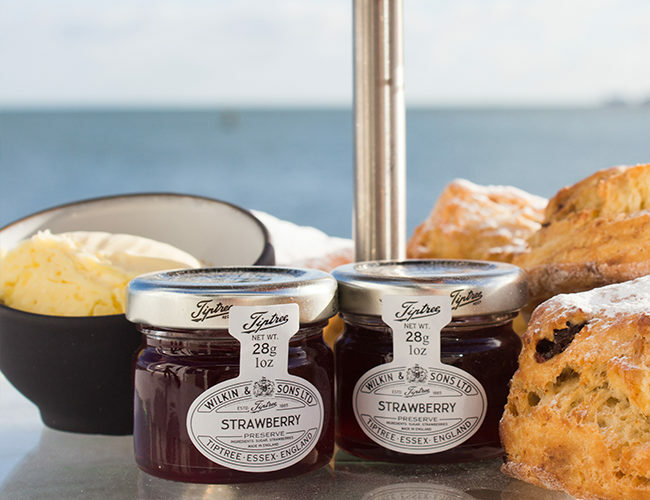 Our pastry chefs serve freshly baked scones with Dorset clotted cream and sticky jam. 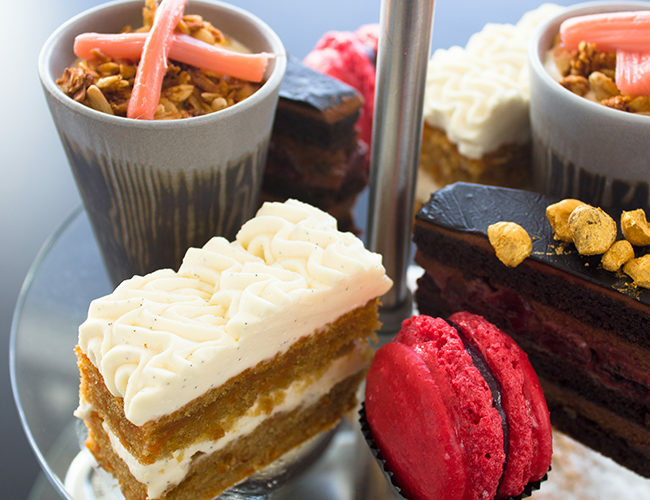 For an extra special experience, add a selection of delicate cakes, sandwiches or a few bubbles. Take tea with us daily between 3pm and 5pm. With the sun setting over Shell Bay, there’s an ambient evening feeling in The Point. 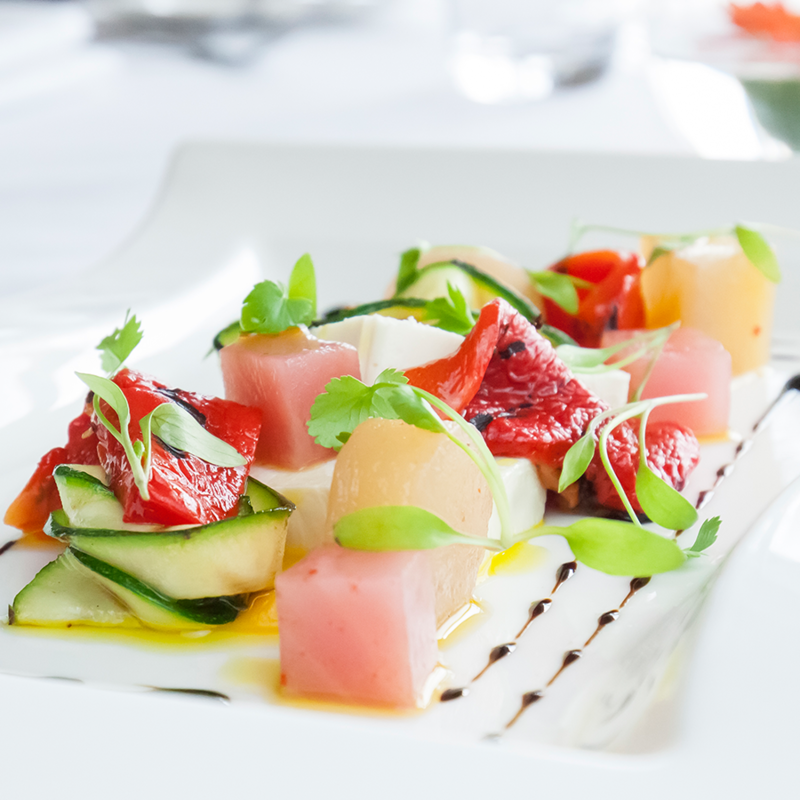 To make the most out of Dorset’s seasonal produce, Head Chef Jason changes his extended table d’hote and prix fixe daily menus, offering tasty variety every time you dine. Restaurant is really first class with very helpful staff. Breakfast has everything you could possibly want very well prepared with wonderful views. Lovely food highly recommend the haddock and chunky hand cut chips with delicious mushy pees all this with a lovely view across to Old Harry and Studland. Staff were very friendly and nothing was too much trouble. I can highly recommend for a treat either lunchtime or evenings. It's lovely having breakfast watching the ferries and boats going past. We love it because it's near the chain ferry and boat to brownsea Island. To compliment the cuisine at The Point, we have developed an extensive list of fine wines. 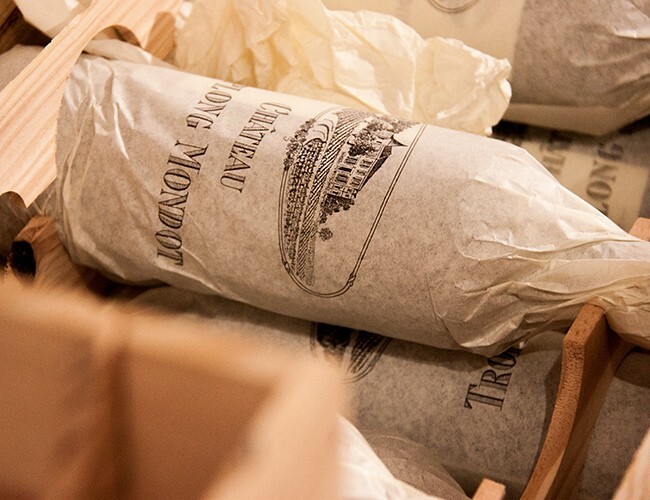 Our Sommelier takes pride in personally ensuring that the cellar is a treasure trove of worldly vintages. You’ll stumble across varieties that are rarely seen outside their own local markets. And because we’re lovers of local, there is pick of Dorset wines. Stop by for lunch and lite bites at the water’s edge. 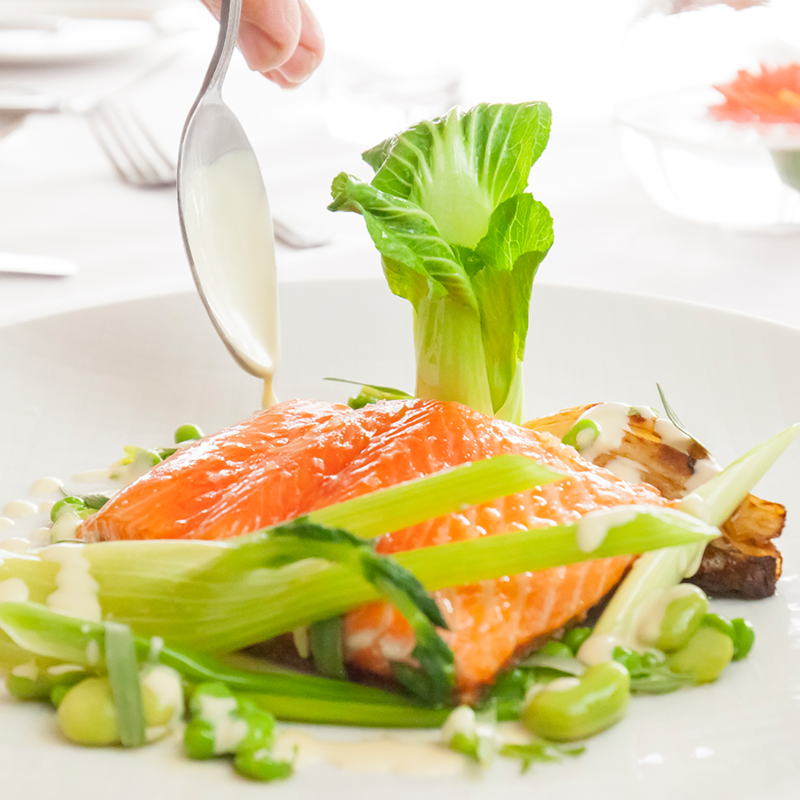 Enjoy mouth-watering fresh cuisine throughout the day in the most stunning surroundings. The Haven Hotel’s brigade of creative chefs prepares delicious fresh cuisine everyday using, wherever possible, local seasonal ingredients. 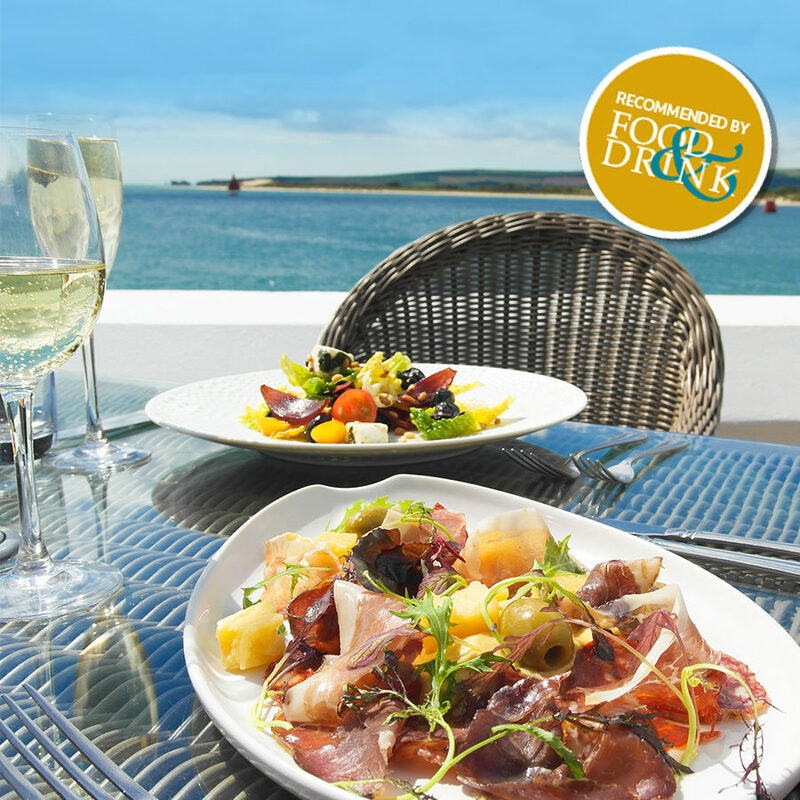 If the sun is shining, why not dine alfresco style on the hotel’s glorious sea view terrace. Enjoy our ‘Menu by the water’s edge’ available daily between 12-noon and 10pm. 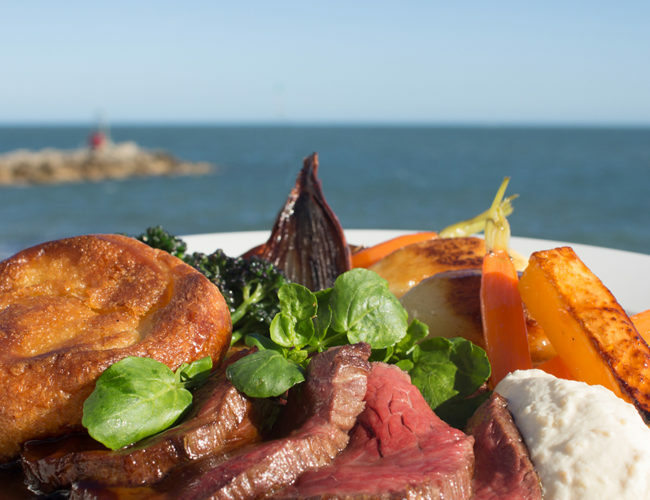 After a brisk Sunday stroll along the sand, nothing hits the spot better than a hearty feast in The Point. 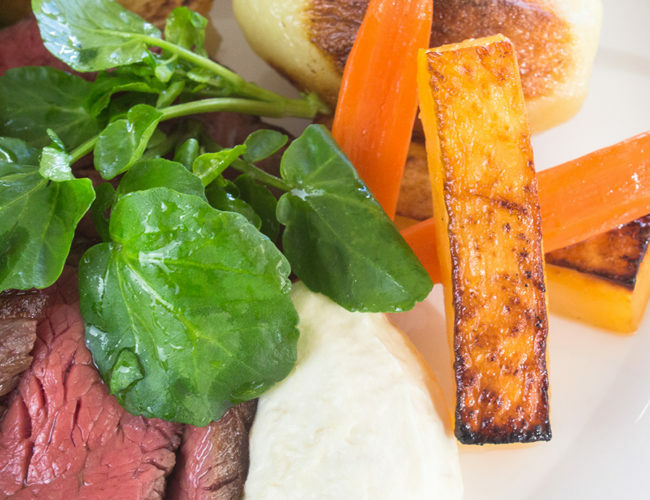 Serving up some indulgent dishes, from roast favourites to quintessentially English alternatives. The perfect accompaniment to fine wine and good company. Try our special Sunday menu between 12pm and 2.30pm. 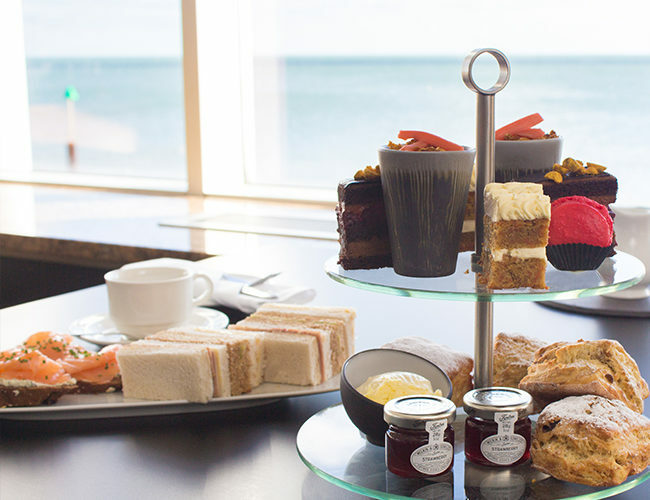 The perfect perk to your Purbeck adventure or business agenda. 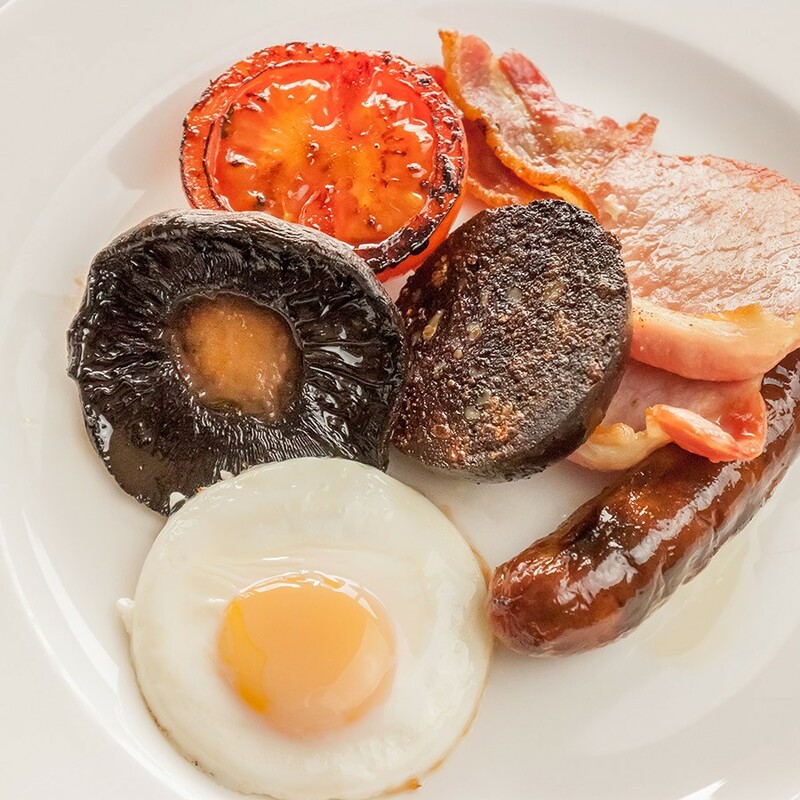 Breakfast is freshly prepared by the hotel’s award-winning chefs and served in our Peninsula Restaurant. Offering an informal setting to watch the sun rise over the sea. Join us daily between 7am and 10am.